Starting tomorrow, you can take your roller beetle pal for a spin around five new, permanent racing tracks! You’ll have plenty of room to practice leaps, turns, drifts, and sprints all over Tyria. Perfect your skills in time-trial adventures between races, then compete with fellow beetle jockeys for fun, bragging rights, and rewards. 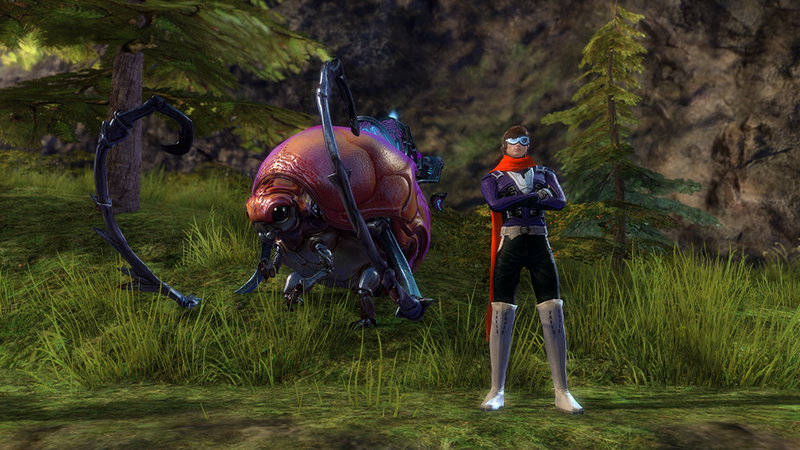 Roller beetle racing is a homegrown sport that takes advantage of Tyria’s natural terrain, but enthusiasts have pulled together to organize formal races, beetle-rental services, and prizes. Earn Racing Medallions for completing courses and exchange them for endless transformation tonics, stylish racing accessories, and even an adorable Mini Roller Beetle. To encourage aspiring racers to pick up the reins, daily roller beetle racing achievements will be available from November 27 to December 25. Completing daily achievements will reward you with piles of Racing Medallions, and a new set of racing achievements is also available to keep you on a roll. Tropic Valley Raceway begins near Proxemics Lab Waypoint and runs all around the edges of Brisban Wildlands. You’ll need both speed and stamina to make it to the finish line. Ghostfire Run starts near Nageling Waypoint. It’s a pleasant jaunt across Diessa Plateau, with challenging twists and jumps through fields, farms, and haunted ruins. Jormag’s Fang kicks off just south of Torstvedt Homestead Waypoint in Snowden Drifts. It doesn’t take long to complete a lap around this course…as long as you can handle the sharp turns with razor-fine precision. Lakeside Loop starts near Provern Shore Waypoint in Gendarran Fields and winds along the shores of Lake Gendarr. Skim over the water at high speed if you don’t want to get soaked. Infernal Leap begins on the shore below Avernan Waypoint in Mount Maelstrom. This course will lead you on a treacherous path straight into the heart of the volcano, and you’ll need to pull off a daring lava leap to make it out the other side. If you haven’t learned the racing ropes yet, speed to Overlake Haven Waypoint in Kessex Hills. South of the outpost, you can learn how to hit checkpoints and handle turns on the Kessex Corner test course. Unlock episode 3 of Living World Season 4, “Long Live the Lich,” for free during the introductory event! If you’ve upgraded your account with Guild Wars 2: Path of Fire™, you can play through the story to raise and befriend your very own roller beetle mount. To celebrate the growth of our favorite speedy sport, we’re giving away awesome prizes to racers every week. * Just complete a race to be entered to win the current weekly prize. You can’t take your roller beetle out of Tyria, but you can hit the road in a real roller beetle racing-themed car. Just enter any of the weekly giveaways, and you’ll be automatically entered for a chance to win. Learn more about the contest and rules here. 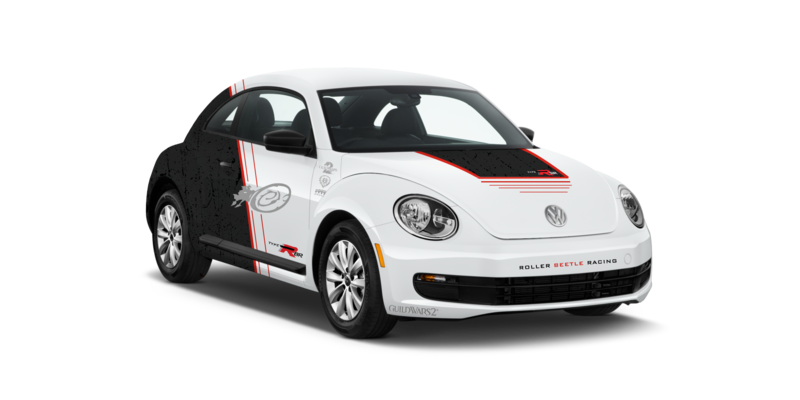 Dress in some comfortable riding gear, make sure your beetle eats lots of protein, and get ready to roll out. We’ll see you at the races! *NO PURCHASE NECESSARY. VOID WHERE PROHIBITED. A purchase will not increase your chances of winning. Open to legal residents of the U.S., Austria, Canada (excluding Quebec), Finland, France, Germany, New Zealand, Norway, Russia, Switzerland, and the UK, who are 18 years or older as of 11/27/18. Void where prohibited. Sweepstakes begins 11/27/18 and ends 12/24/18. Total estimated value of all prizes: $50,480. Odds of winning depend on number of total eligible entries received. To enter and view Official Rules, visit www.GUILDWARS2.com. By participating in this promotion, entrants agree to be bound by the Official Rules. Sponsor: ArenaNet LLC, 3180 139th Ave SE, 5th floor, Bellevue, WA 98005.